The Strata Oncology precision oncology platform provides essential infrastructure to implement a comprehensive, streamlined program for routine testing, efficient utilization of molecular data, and novel precision therapy trials. The Strata Trial serves as the foundation of our approach by providing a standardized genomic testing protocol to implement systematic, enterprise-wide precision oncology. 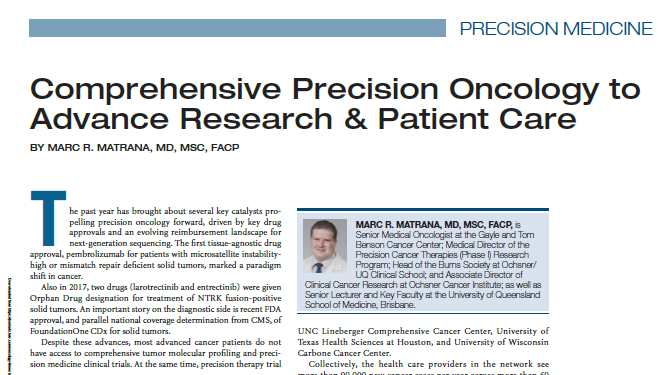 This observational study (NCT03061305) provides comprehensive tumor molecular profiling for 100,000 advanced cancer patients at no cost and proactive enrollment support for a portfolio of industry-sponsored precision therapy trials. Helen F. Graham Cancer Center & Research Institute. StrataNGS, a targeted assay that sequences DNA and RNA in archival or fresh biopsy tissue, is available at no cost to all advanced cancer patients at partner institutions through the Strata Trial. All profiling is performed in the Strata Oncology high-throughput CAP-accredited, CLIA-certified laboratory so that results can be entered into patient medical records and used to guide treatment decisions. 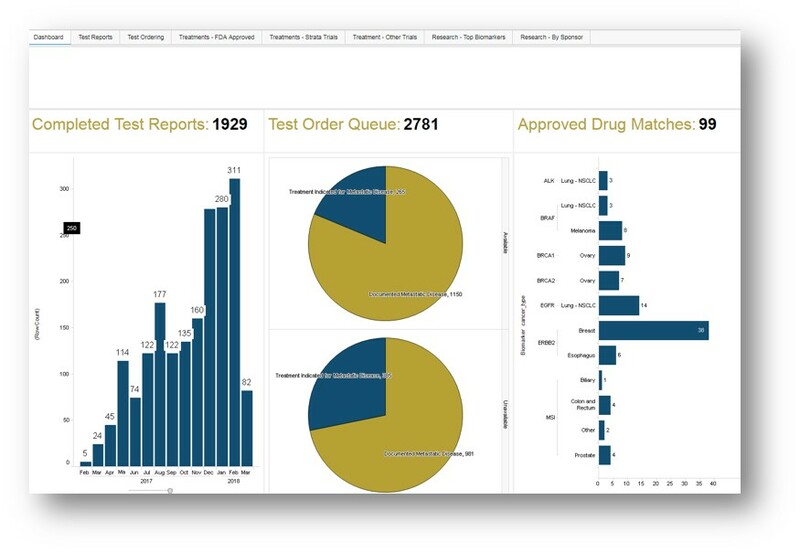 StrataPOINT integrates EMR-based clinical histories with molecular profiling data to ensure that all eligible advanced cancer patients are tested, considered for precision trial enrollment and tracked post-enrollment. With Strata, health systems are delivering precision oncology at scale, while ensuring physicians focus their time on patient care and research. 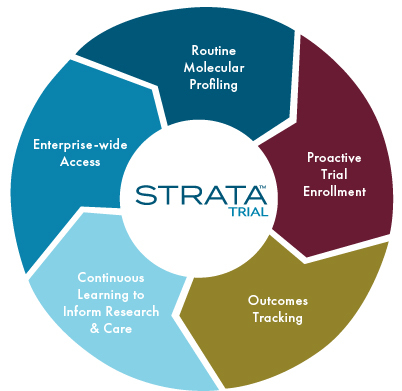 Strata Partnered Trials, a portfolio of pharma-sponsored therapeutic protocols aligned to distinct biomarkers, is available at the primary cancer center within each partner’s health system, increasing trial accrual and maximizing opportunity for patient benefit. Our clinical-genomic database enables investigators to learn from real-world data and rapidly translate insights to active prospective studies. Investigators can research their own patient populations and participate in multi-site research with other health systems. Network members, aligned on a common portfolio of pharma precision therapy trials, are driving the next wave of cancer drug approvals.